I want to share two of my finding on Facebooks Acquired domain Boltpeters.com which I have reported to Facebook on 1 Feburary 2013. Impact: Configuration files will disclose sensitive information that will help a malicious attacker to prepare more advanced attacks. Using this Vulnerability an attacker can easily Extract Facebooks Boltpeters.com Database Users ID & Password. The sensitive files path shall not be directly accessible to any anonymous users. The sensitive backup files path shall not be directly accessible to any anonymous users. Remove Configuration File from the web server. As an additional step, it is recommended to implement a security policy within your organization to disallow creation of temporary/backup files in directories accessible from the web. 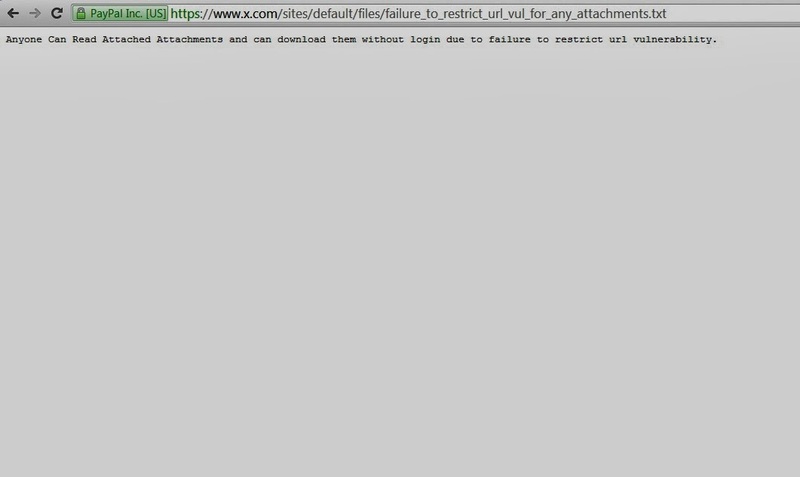 Filesystem snapshots should not be accessible via the web if your document root is on a filesystem using this technology. 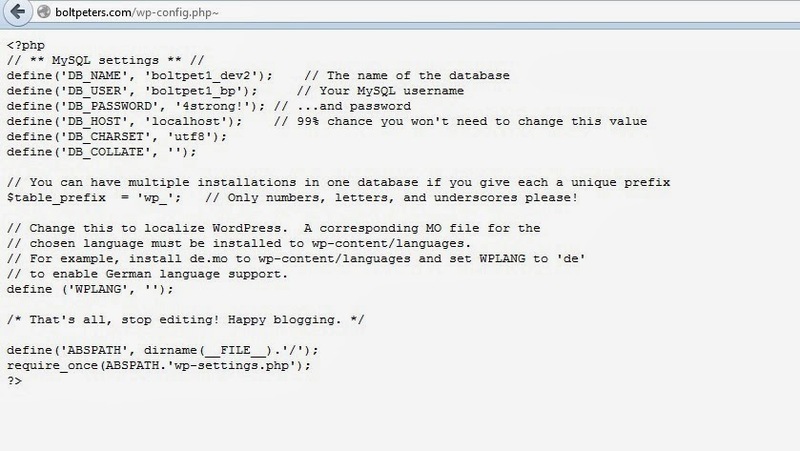 Configure your web server to deny access to such directories. 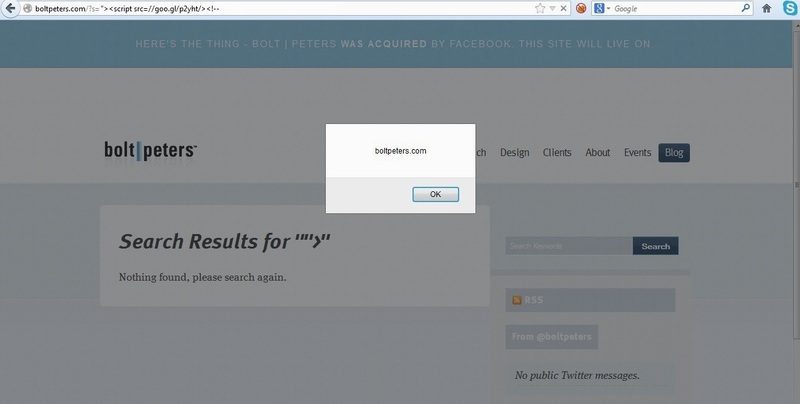 I have found that Facebook's Boltpeters.com application is vulnerable to Reflected Cross site Scripting attack as s parameter of this applications following Url http://boltpeters.com/?s=test is used for inputting an searching but as there is no proper input validation, filtration or sanitation on server side nor there is any output encoding etc to prevent this Reflected Cross site Scripting Vulnerability if the attacker uses the cross domain XSS payload with the combination of comments. So the attacker easily can steal the cookies(as http only cookie attribute missing) of any of those website users and can easily compromise there account. Both the vulnerabilities were mitigated by Facebook Security Team within 5 days + (Rewarded me bounty for my Findings). The actual rootcause of this vulnerability existence is that if the Anti-CSRF token parameter is used 2 times in a request then the 2nd Anti-CSRF token parameter value(the value will be attacker desired) is getting accepted and validated on the server-side instead of the 1st Anti-CSRF token. One more important point is that the if we try to use any other users CSRF token or old used CSRF token or any random CSRF token value using single CSRF token parameter then it was getting denied by the server and the request is getting blocked as the Anti-CSRF token was properly getting validated on the server-side.